The following PDH or CE courses meet the CEU requirements for Architect Continuing Education. The following PDH or CE courses have been selected carefully to maintain, improve or expand the technical knowledge of the Architect's in his/her field of practice. DiscountPDH offers Online CE and PDH Courses for Registered Architects. Almost all of the PDH Webinars and PDH Seminars covers PDH and CE course material and subject, beneficial both to RA Architects and PE Engineers. For our Online CE and PDH courses for Registered Architects we offer courses in different subjects that carry different amount of PDH hours. As an example, the online PDH course OSHA excavation standard is credited 6 PDH. 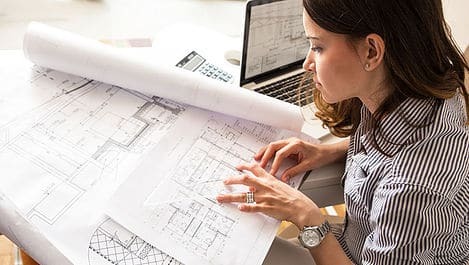 There are a lot of similarities among the PDH and CE Continuing Education Courses between Civil Engineers and Architects. For example, a PDH course in ADA accessible design is beneficial to both PE Engineers and RA Architects. A PDH course in ADA error and omissions in new construction and alterations, or ADA accessible design, or ADA guide for small town, or ADA guide for small business, or ADA guide for accessible design is also beneficial to both PE engineers and RA Architects.